Stocks witnessed a downward trend as all major indices on Dhaka and Chattogram stock exchanges were in red zone on Wednesday. followed the same trend with72.91 points down at 1,322.71 and with 11.81 points down at 2017.27. The daily trade fell to 25.62 crore shares from Tuesday’s 29.08 crore shares and the day’s trade value at DSE decreased to Tk 1000.52 crore from previous session’s Tk 1,139.32 crore. At DSE, losers dominated the day’s trading as out of the day’s 345 securities, 123 gained against 185 losing issues. The five major gaining issues were – Eastern Insurance, Karnaphuli Insurance, Takaful Insurance, Agrani Insurance and United Insurance. Nitol Insurance, ML Dying Meghna Condensed Milk, Imam Button JMI Syringe were the five major losing companies. 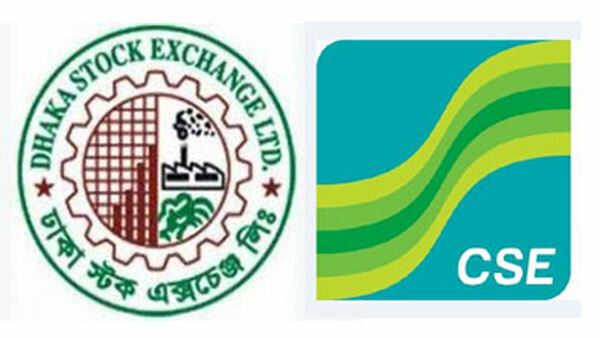 In the port city Chattogram, the CSE ended lower with its All Share Price Index – CASPI -shedding 57 points to close at 17,900.22. The losers beat the gainers as 153 issues closed down against 90 gaining issues on the CSE.